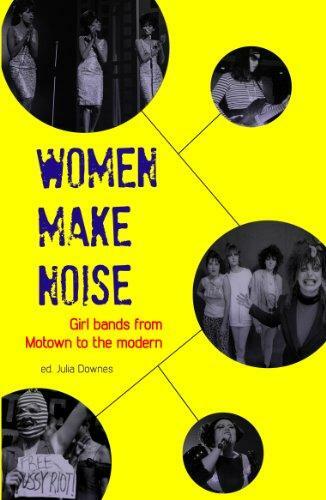 I took part in a panel discussion called Women Make Noise as part of the Off the Shelf festival in Sheffield. The discussion focused on women’s experiences of music culture and the industry and featured myself, Julia Downes, Alanna McArdle and Sarita Karr. Here is the audio of the whole event which covered many interesting topics including the exclusion of black women in music, the experiences of being a woman in a male dominated band and the experiences of being a female house and techno DJ. I will be taking part in the panel discussion ‘Women Make Noise: A Discussion’ at Off the Shelf in Sheffield in October. LaDIYfest Sheffield will host a panel discussion on women’s experiences of music culture with myself, Julia Downes, editor of Women Make Noise and Alanna McArdle, musician in Joanna Gruesome.